Published by Georgi Michokov in Popular. 7 mins to read. Read on to see how else custom branded packaging can benefit you, and how to find the best custom packaging for your brand. You only get one first impression. That first impression comes when your customer physically receives their purchase. Having your product wrapped in a simple cardboard box cheapens the entire branding experience for your customer. Branded mailer boxes give you, the seller, an opportunity to wow and bedazzle your customer from the moment they see their parcel has arrived. 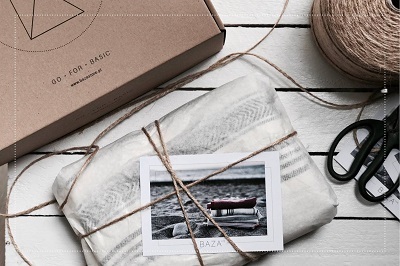 Using packing that reflects your brand’s imagery shows you went the extra mile and care about your brand. It shows that you care about your product and your customer’s experience. We’ve all bought cheap electronics from Amazon or eBay. Remember the flimsy box and cheap plastic bag that your purchase came in? Do you think that other customers will remember the name of the company that they bought the product from? But you do remember the cosmetics that you bought yourself, because the box itself said hello when you opened it up. Of course you do. Not only do you remember that purchase, but you remember the products, the brand, the packaging. When the packaging you provide in on par with your branding, it creates a harmonious experience. Today, where there is so much competition in nearly every industry, your product experience is one thing that can help you stand out from the noise. 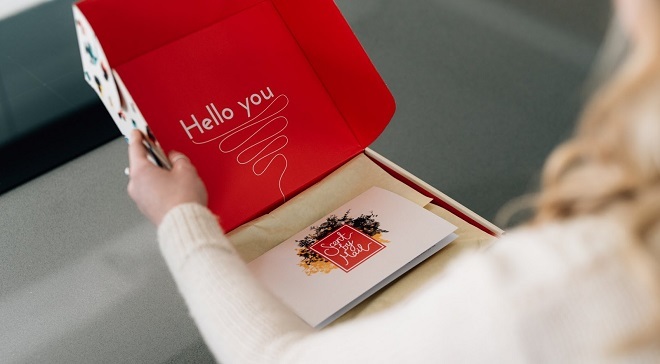 From the moment your customer sets eyes on your branded box, they’re assured that they’ve made the right decision. When they could have easily gone with your competitor, a high-quality branded box says ‘hey there, you made the right choice’. This does wonders when it comes to not only satisfying your customer the first time, but turning them into a repeat buyer and a brand advocate. Your brand’s unique selling points are what sets it apart from the competition. Today, with the environment in the condition that it’s in, more and more small brands are taking on bigger brands and standing out by being environmentally friendly. Sustainable packaging plays a big role here. If your brand has similar morals, using sustainable and ethically-sourced product packaging is itself another unique selling point. You’re able to draw attention to your packaging and show that it too aligns with the same principles that your brand is based on. No one needs to be told the role that social media plays in commerce, both online and offline. By going out of your way to create a complete buying experience for your customer, you’re setting yourself up to get some User Generated Content posted on social media. UGC, coupled with influencer marketing, is a great way to launch your product in front of a huge number of engaged buyers. What’s more, if you customer turns into a brand advocate, you may find your brand in the middle of an unboxing video. Have you watched an unboxing video on YouTube? Chances are that you have. A simple search for the word ‘unboxing’ presents an insane amount of videos. From people unboxing brand new phones, to 35 year old Nintendo consoles, it’s safe to say that there’ something attractive about unboxing videos. So, what role do unboxing videos play with your custom packaging? 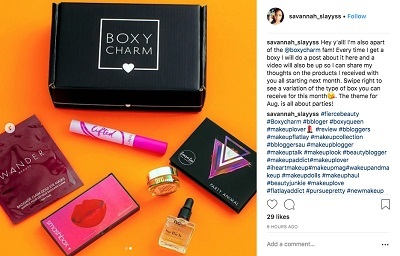 If you’re lucky enough to have an unboxing video of your product made by a customer or influencer, it plays a very important role! While a lot of these YouTube unboxing videos are of products made by massive international conglomerates, there’s a few smaller brands that have unboxing videos with a few hundred thousand views. If your product has quality packaging, your customer’s unboxing video is free advertising! If you’re one of those creative crazy geniuses, you can use your custom packaging to add value to your original product. In the below example, you can see how the box of a children’s board game doubles as a colouring book. 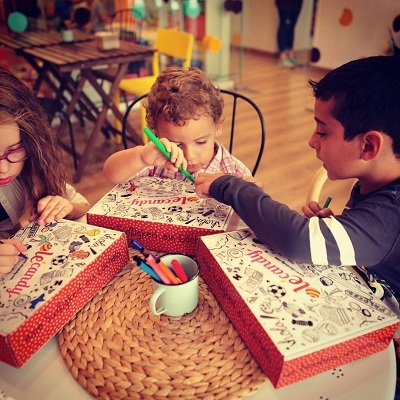 You can do more than just turn your packaging into a place for kids to scribble. With a little geometry, cutting and folding, the box that this shirt came in has been transformed into a coat hanger. The added bonus here is that the packaging itself isn’t wasted – it’s turned into a second, reusable product. This is just one of many Christmas marketing ideas you can use in the lead up to the silly season! 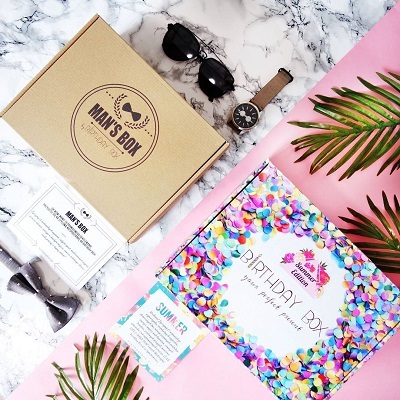 Looking to use some bespoke packaging that’s not a box? Consider a poly mail bag. If your packaging is a major part of your product, use a poly mailer bag to protect it during shipping while maintaining consistent branding. What are the benefits of using a poly mailer? A big problem that ecommerce retailers face is that they sell other brands. For example, if you’re reselling shoes, your customer will struggle to remember your brand name when they’re buying Nike. 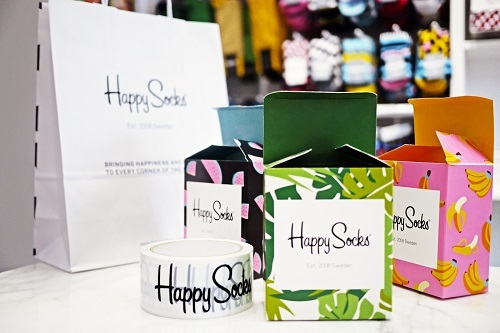 Throw your shoe box in a branded mail bag and your logo is the first thing your customer sees. Unlike your traditional envelope, you don’t have to lick a poly mailer bag to seal it. A self-sealing strip means that your product will be secure during shipping. As you’ve seen, there’s more to branding that just putting you logo on your product. Whether you’re in retail, ecommerce or both, packaging is an experience that begins early in the process. Finish that experience with a branded retail bag and personalised tape. Keep it simple. More often than not, less is more. You don’t want your packaging to be too crowded, complicated or ‘loud’. No more than 2 fonts. This is on par with keeping your design simple. Don’t go putting on a half dozen different fonts and 10 different logos. Many times, the best design is just your logo, front and centre. Complement, don’t distract. 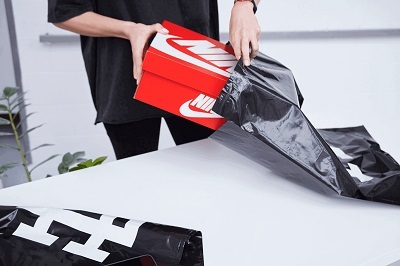 Your product packaging isn’t the centrepiece of the buying experience. The product is. Design your packaging so that it enhances the product. Now that you know the role that branded packaging can play in your marketing, it’s time to start using it to your advantage. Using Packhelp, you can create your packaging as you like it for as little as € 0.26 per unit. 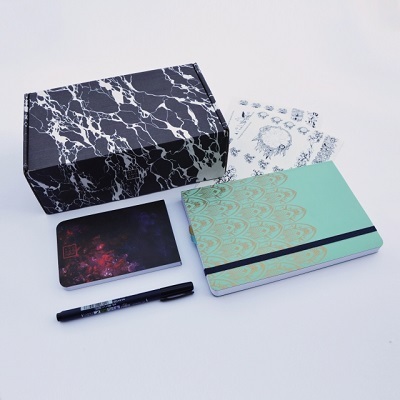 Just pick the package that best suits your product, upload your logo and you can have your product boxes, mailing boxes, poly bag or paper bag in as little as 14 days – with free EU delivery. What are your thoughts on custom packaging? What other roles does it play in the branding of your product and business? Let us know in the comments! This article is contributed by Packhelp. Georgi is a marketer at Metrilo. He likes brands. A lot.